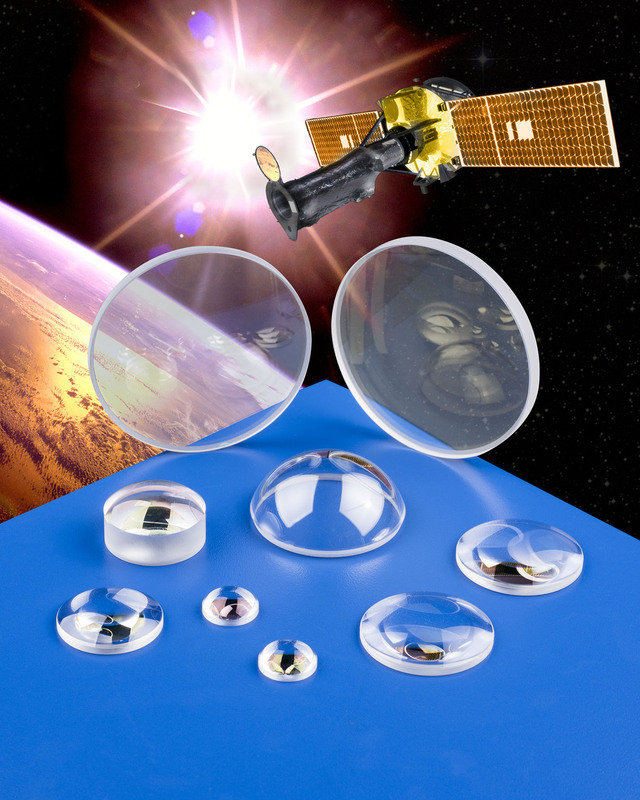 Custom fabricated sapphire lenses, detector windows, and domes that can withstand the rigors of aerospace and high-speed aviation applications are available from Meller Optics, Inc. of Providence, Rhode Island. Meller Sapphire Optics are impervious to water, most acids, alkalis, abrasion from fast moving dirt and sand, pressures up to 10,000 psi, and temperatures up to 1,000°C. Featuring Moh 9 hardness which is second only to diamond, they provide up to 85% transmission from the UV to IR and can be supplied with various A/R coatings for enhancing transmission to > 99%. Custom manufactured from 3/8” to 4” dia. and varying wall thicknesses with ±0.001” tolerances, Meller Sapphire Optics can be supplied as plano-convex and concave, meniscus, and dome configurations, with beveled and polished edges. Surface finishes from 60-40 to 40-20 scratch-dig, flatness held to 0.5 fringes of HeNe, and parallelism from 20 to 2 arc/secs. can be provided, depending upon configuration.